Trilliant’s ATM terminals to mark the first-time cryptocurrency ATMs will feature the same facilities as traditional FIAT currency terminals. The countdown to autumn 2018 is on. With every passing day, cryptocurrency investors, novice and seasoned alike, are becoming more and more excited as they prepare to bare witness to the birth of mainstream cryptocurrency ATM facilities. Over the last few years newly-created blockchain-based enterprises have dominated the cryptocurrency landscape. Online trading platforms have been launched and new vehicles of valuation have been invented, all to create a viable online cryptocurrency ecosystem. Yet cryptocurrencies, such as Litecoin (LTC) and Ethereum (ETC), even third generation cryptocurrencies like Steem and Vrenelium have been without any practicable physical infrastructure to support their two-way transactions. All this is about to change. In the fall of 2018, Trilliant is set to launch the first two-way cryptocurrency ATM terminals in Europe. This is something that Trilliant is set to change. This pioneering Zurich-based business plan to begin installing their ground-breaking cryptocurrency ATMs across Europe in the autumn of 2018. Each of Trilliant’s next generation terminals feature superlative functionality – mirroring that which consumers receive with traditional FIAT currency ATM terminals. The terminals are encoded with a state-of-the-art touch screen, PIN and card reader and front-facing camera for optimal client recognition. Dubbed KYC or Know Your Customer, this allows Trilliant’s ATMs to develop superlative levels of security, helping customers protect their cryptocurrency assets. In addition to that, each terminal will also feature in-built security measures, including a front-facing camera to provide exemplary levels of protection against would-be hackers and cryptocurrency fraudsters. Heralded as the epitome of cryptocurrency hardware technology, each of Trilliant’s ATM terminals also allow users direct access to ICOs at the touch of a button. The first phase of Trilliant’s planned installation of their ATM terminals will be initiated in a few short months. Specially-selected locations have been chosen and will soon host one of Trilliant’s innovative ATM terminals. Trilliant plans to install their ATMs in more than 500 locations in Europe by 2019 – something that has garnered a great deal of excitement in the cryptocurrency world. 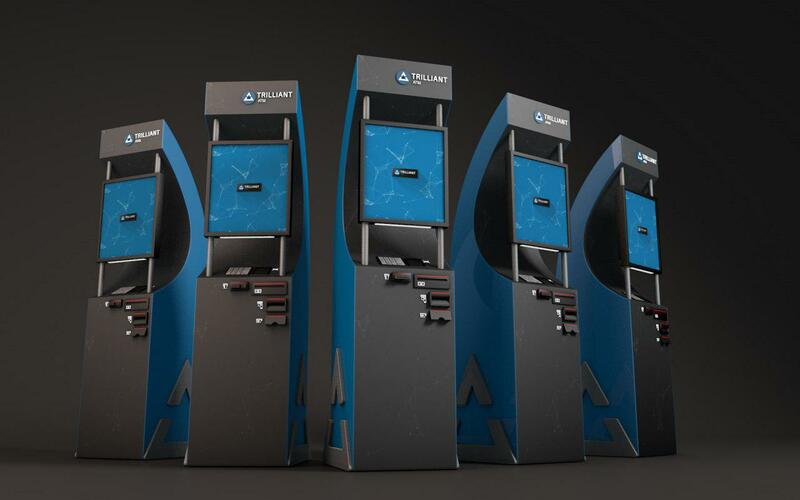 Trilliant Founder and CEO, Sebastian Korbach said, "Our aim is to have 500 ATMs operating by 2019.’ He goes on to state, ‘In the long run, we want our machines visible on every corner, creating greater awareness for cryptocurrencies in general." Not content with merely having the ambition to set up a European cryptocurrency ecosystem, Trilliant plans to expand its operations into America in the very near future. Not only that, the company is in the process of applying for a banking licence which will allow them to install their ATM terminals at locations anywhere in the world. It’s time we all got prepared for the birth of physical, mainstream cryptocurrency transactions. The global banking landscape is about to change.